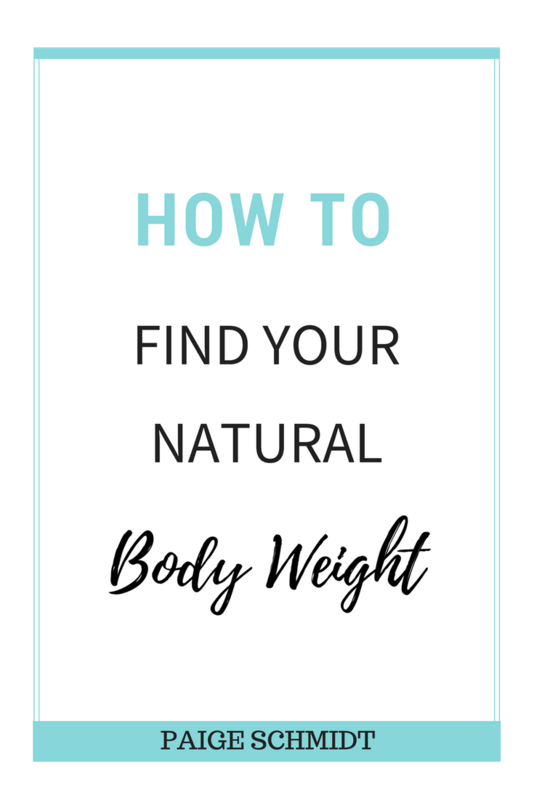 A question I receive from clients who want to eat intuitively and lose weight is: “How did you know when you were at your natural weight?” To start, let me share with you what my IDEAL weight was and how that’s different than my/our NATURAL weight. I remember when I first started dieting, I asked my mom what her favorite weight was. We’re the same height and have the same body type and I was clueless about weight-loss at this point, so it was all I could think to do. My sweet mom always encouraged me and would never ever mention anything negative to me about my weight. So, to be clear, I don’t blame her for any of my struggles with food. She honestly/innocently told me a number and I stuck that number in my mind for years. Being 5’9, this weight was HARD for me to maintain! So, I researched how to lose weight. Figured I “should” count my calories, take herbal pills, etc… And that’s how I’d lose weight. So, I did. And in three months I had lost A LOT OF WEIGHT and landed myself at my lowest weight ever. I wasn’t satisfied. At all. I’d weigh myself numerous times a day. I’d try new diets. And I’d create my next lower ideal weight. It was never satisfying. I obsessively exercised. Binged and restricted. I was OBSESSED with calorie counting. It was absurd. And at my lowest weight, I was more unhappy with my body than ever. I was more concerned with BEING SKINNY over FEELING HEALTHY. I’d pick “low-cal” options over the healthy and whole options. I made myself sick, started having panic attacks and caught every cold that came my way. I was in and out of the doctors office. My moods were everywhere. I judged and measured my worth daily. It was only a “good day” if the scale had dropped. And then it usually turned bad because a low scale meant a binge later that night. This was everything that was going on at my IDEAL weight, which was the weight I *thought* would make me happiest. My body will be finding her natural weight for the rest of my life. AKA, it’ll change. Why? Because I’m a woman and our bodies change as we grow and age and that’s OK. Everyone changes over time. It’s the NORM. It’s not something we need to try and control. Let it be. It’s also a weight that is effortless to maintain. I don’t catch every cold that comes my way. I have the capacity to love and focus on things in life that fulfill me. I’m really LIVING my life. I’m not distracted by food. I intuitively KNOW and can feel that my body is at her most natural weight, because it feels normal. And it’s different than my old weight. If you were to ask me a number, I wouldn’t know because I haven’t weighed myself in years. I just go by how I feel. This is so freeing! When I got to the doctors office, I turn around and ask them not to share the number with me. I’ve never been questioned about this. I held onto the scale for a LONG time. I was afraid that if I stopped measuring my weight, I’d gain. And gain and gain and gain. But really, when you think about it… that’s kinda ridiculous. You don’t NEED a scale to tell you how you feel. You KNOW how you feel. I now maintain this weight effortlessly, which means that my food choices are not driven by a weight loss or weight maintenance motivation. Rather, my food choices come from a place of wanting to feel good and satisfied (normal, healthy, whole). Your natural weight is not a cookie cutter formula. It’s more so a place of joy & happiness in your life. It’s living a live that makes you happy and gives you freedom and it’s allowing your body to decide what she’ll look like from that place. From my very real experience, I am so much happier at my natural weight. I am so much happier not obsessing over everything that I do. At your natural weight, you feel natural. You feel normal with food. You feel healed. You don’t have rules and restrictions guiding your every next move. You’re not in the habit of over eating or under eating. It’s calm. It’s normal. From my experience, picking a number and aiming for it won’t satisfy you. Especially if you haven’t learned to love and appreciate your body first. We have to love ourselves where we’re at if we want to love ourselves where we’re going. Questions? Comments? Let me know. 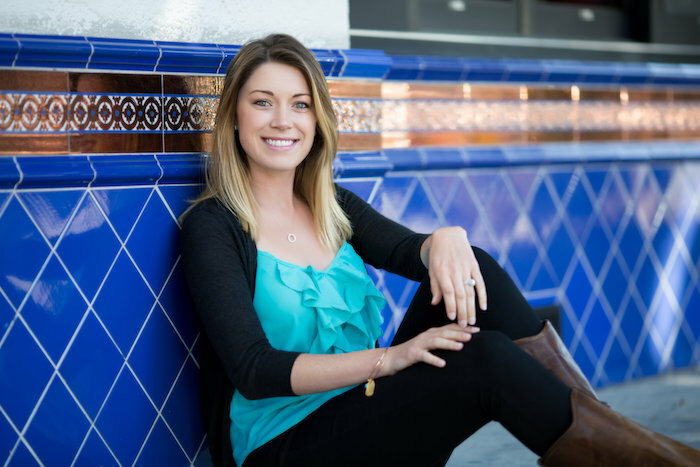 And if you’d like even more support, hop on the phone with me in a free Discovery Session – I’d love to help you. Fill in the form to talk with me on this page.